The gift of education is one of the most important gifts you can give. Your support of the College of Education helps us improve the services, resources and equipment needed to give future educators the best possible start. The College of Education program supports teaching and learning throughout the province and on First Nations. This means not only preparing students within our own college classrooms here on campus, but also to prepare them using important experiential opportunities in the field in urban, rural, and First Nations communities. The Rural Education Internship Fund supports students as they engage in opportunities to intern in communities beyond urban centres. Every $250 donation supports one student with a travel and expense award to support their work. Thank you for your support in helping us improve the opportunities for preservice teachers to intern in rural communities. From technological literacy in the classroom to web development, audio, video, animation, and 3D animation, 21st Century Learners require teachers who can transform their traditional learning space to ones of innovation, engagement and excitement. Your donation of $200 provides for opportunities such as 3D printing and makerspace materials that will enrich our pre-service teachers’ learning, and in turn, enhancing teaching and learning in classrooms throughout this province for years to come. Your gifts to this campaign become an important part of our College of Education annual giving campaign. Your choice of giving level, from small (which is added to the general scholarship pool) or large (which can be directed to an area at your discretion) provide opportunities that students would otherwise not experience. Charitable giving is an important source of funding for the University of Saskatchewan, and annual, recurring support that is given from individuals and business allow additional, immediate funding for student initiatives and awards that enhance the student experience. "You're helping people grow, which helps Saskatchewan become the best it can be. 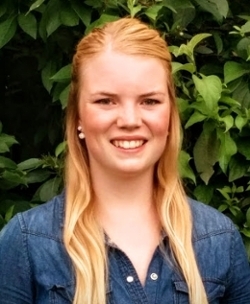 It's a pleasure to deal with the U of S, and it's surprising what a huge difference $1,000 can make to someone." Planned giving is a form of charitable giving coordinated with your financial and estate plan, which allows you to accomplish your goal in supporting the University of Saskatchewan while optimizing your tax and other financial benefits. A planned gift may be outright, providing resources for immediate use, or it may be deferred, planned now for completion at a future time. The College of Education extends our sincerest sympathies to the family and friends of alumni and others who have passed away. A memorial gift can be created in their name. Their legacy will live on in the lives of education students who will benefit from a scholarship or bursary supported by such gifts. The Maureen and Gordon Haddock Scholarship in Education was started to recognize a College of Education undergraduate student pursuing a Bachelor of Education degree who demonstrates the skills and the potential to compose and teach creative writing. In 1951, Gordon moved west, from Montreal, with his parents and brother. The small Saskatchewan town where they settled provided the right growing conditions for his independent spirit and entrepreneurial nature to flourish. Gordon Haddock graduated from The University of Saskatchewan with a Bachelor of Commerce in 1972. His entrepreneurial spirit led him into many business ventures including an advertising agency, music store, drug stores, card and gift stores and businesses involving land development, fast food, clothing, tourism, bath and skin care products, entertainment, and publishing. His businesses have been both franchise and self started. Gord’s wife Maureen has known him since they were twelve, and, having married him in 1970, she has been involved in most of the aforementioned businesses. Writing Get a Bigger Wagon and Get an Even Bigger Wagon has been more than business as usual for Maureen; it’s been personal. She believes that Gordon was allowed more self-discovery time, while growing up, than most children and that he retained more of the details of his experiences than many. It seems clear to Maureen that growing up in small town Saskatchewan contributed significantly to the boy becoming the man he is today. The College of Education thrives off generous gifts from donors that provide the financial and moral support needed to continue its mission. Thanks to generous donors like you, I have the ability—and the funds—to keep my dream within reach. 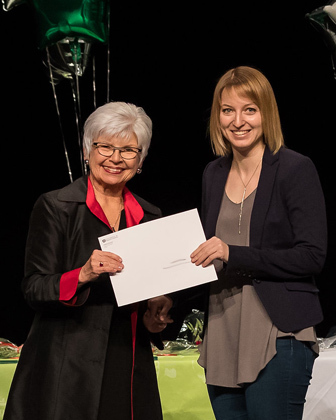 I have always been passionate about learning, and my dedication to my studies and the support of my family led me to receive a major scholarship to attend the University of Saskatchewan. As someone who grew up in Saskatoon and biked by the beautiful campus many times, I always pictured myself attending the U of S because I believed it would be the right fit for achieving my dream. As I complete my studies this year and look forward to starting my career, I know I was right. Receiving a scholarship made a big difference in my life, and it has been extremely motivating. It has allowed me to invest more time in my education, including taking advantage of opportunities outside of class that deepen my understanding of being a teacher. The scholarship provided me with confidence, as I knew someone believed in me. The example you set encourages students to not only excel today, but also to emulate you in the future. In this, the centennial year of the U of S Alumni Association, it would be impossible to count how many accomplishments have happened over the past one hundred years because U of S graduates were willing to lend a hand to those following in their footsteps. Great donors like you create great universities like ours. You make me proud to be a U of S student! In order to support the students of the College of Education, I am asking you to not only renew your annual support, but also to consider making a gift today to one of our many Campaigns. We recognize this may be an increase from your previous gift, but there are so many reasons to consider giving more to help students. For example, rising costs of basic necessities like food and housing present challenges to full-time students, as well as the steadily increasing number of students applying for a bursary or some other form of assistance. Donors to the College of Education make a significant difference in the lives and education of our students. This year, funds from donors to the College will support students through entrance scholarships attracting top applicants from througout the province, as well as major College campaigns listed above. Are you ready to help support the work of the College, too? Students truly appreciate your support, whether it's to the College of Education or other important student initiatives such as the President's Student Experience Fund, the Centennial Fund, or the University Library. you can make a one-time gift, choose to give on a monthly schedule or even commit your support over a number of years. The important thing is that you make a gift again this year; students like me are counting on you. On behalf of all students at the College of Education, my sincerest thanks for your continuing generousity.